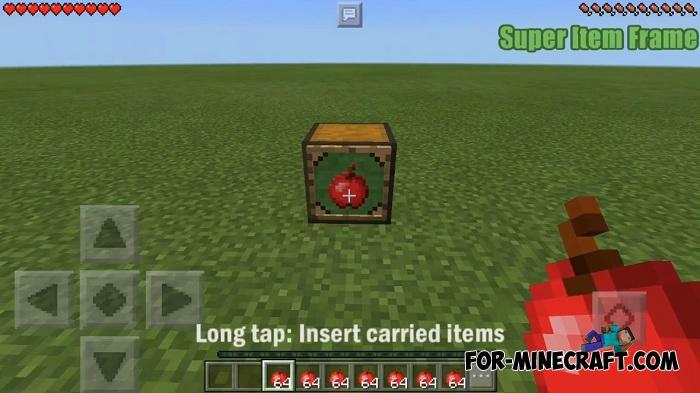 An incredibly convenient modification for MCPE that allows you to simplify the crafting process so that you forget about the cells and slots. 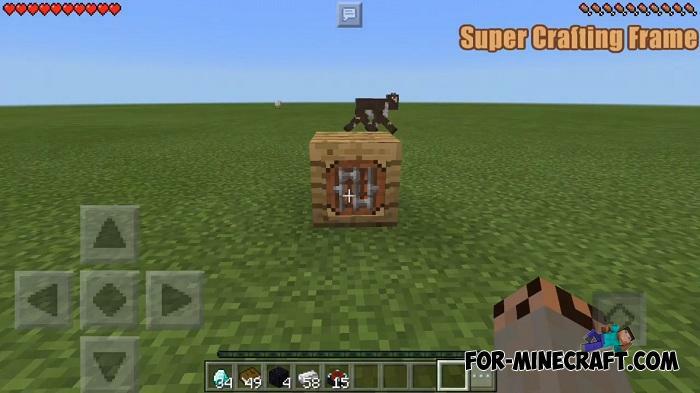 This applies more to those who have huge laboratories or farms where mass production takes place, for example new items from IC2. 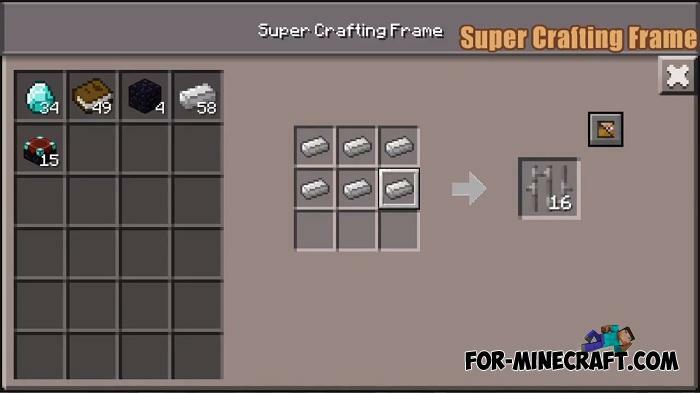 What is Super Crafting Frame? 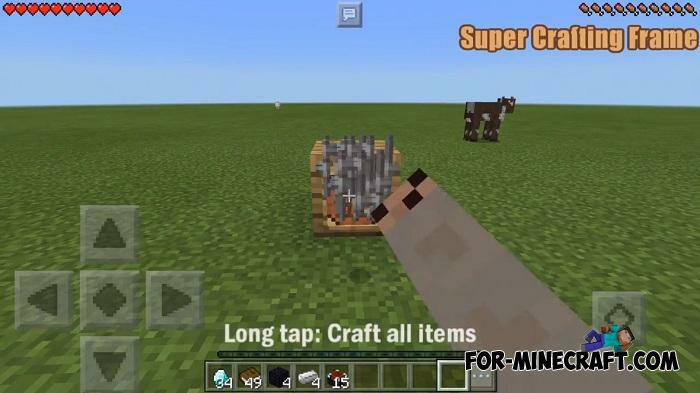 This is a utility that simplifies crafting as stated above. 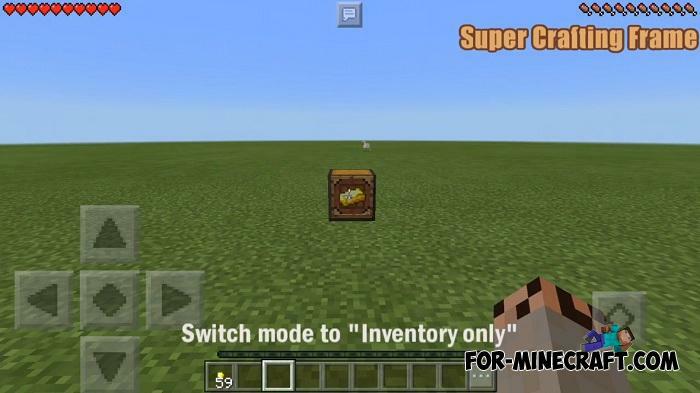 Now you just need to add crafting items once to create new items. 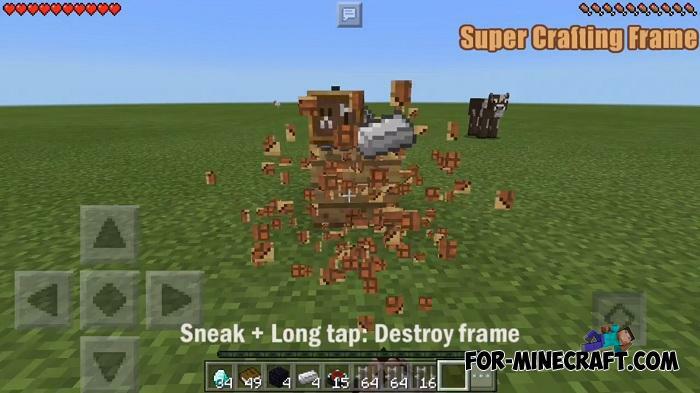 This makes a new frame with a familiar interface. 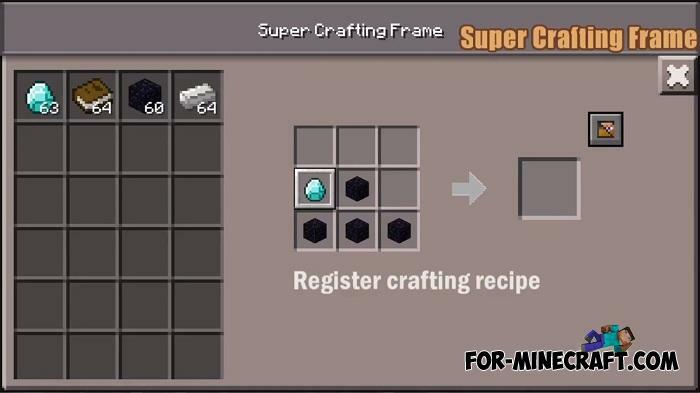 You add crafting elements of the selected recipe and simply touch the frame. 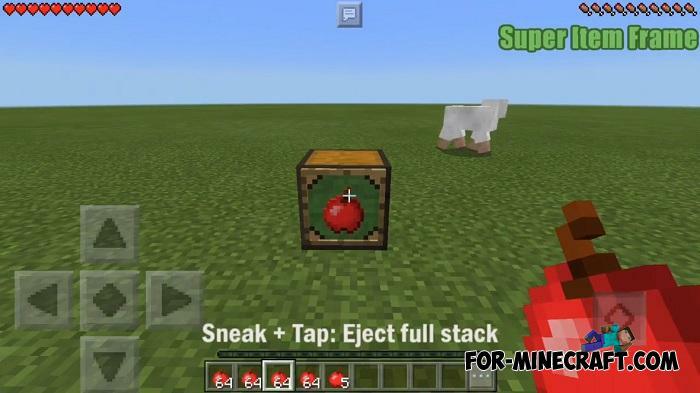 It in turn will give you ready-made items or objects. 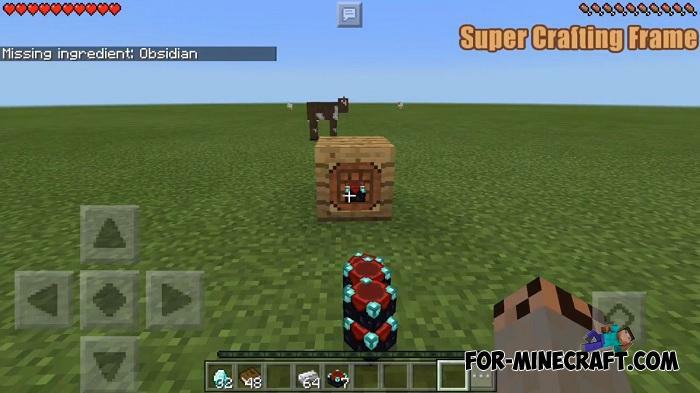 The Super Crafting Frame Mod also has a few more features such as craft all items and others. 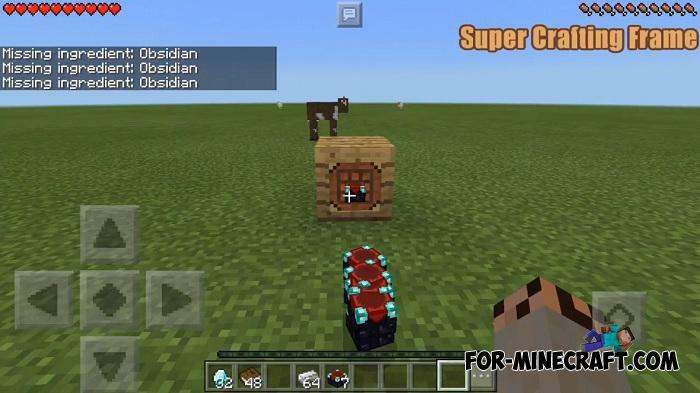 How to install the Super Crafting Frame Mod?